January 9 – February 19, 2016 Opening Reception: Saturday, January 9th, from 6-8pm. Joseph Bellows Gallery is pleased to announce its upcoming exhibition of an important collection of vintage x-ray photographs by Dr. Dain L Tasker. This exhibition will open on January 9th and continue through February 19th, 2016. A reception for the exhibition will be on Saturday, January 9th, from 6-8pm. Dr. Tasker was the chief radiologist at Wilshire Hospital in Los Angeles when radiology was in its formative phase. 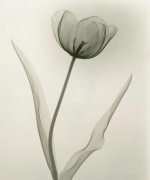 In the late 1920’s inspired by his knowledge of the x-ray image process, and through his developing involvement with Pictorial photography, Dr. Tasker began to record numerous varieties of flowers with the x-ray process. His results are among the most striking and unique floral images in the history of photography, delicate in their rendering of subtle tones and descriptive in the tracing of the flower’s fragile structure; fulfilling with out sentimentality, Tasker’s statement, “Flowers are the expression of the love life of plants”. Tasker’s floral x-ray photographs, created in the 1930’s are timeless representations of their subject drawn by a distinct process that marries science and art, situating themselves as forerunners within certain experimental modes of contemporary photographic practice. 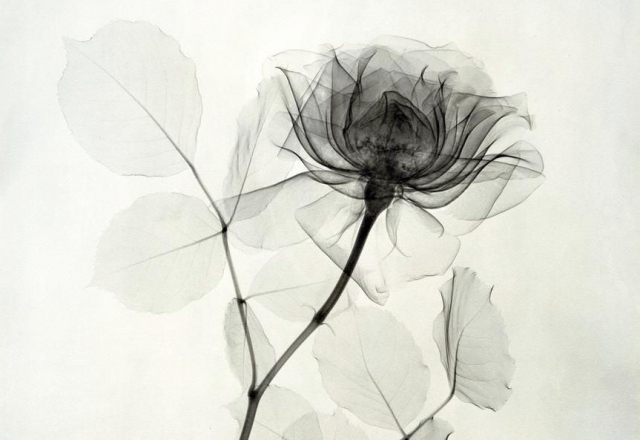 Dr. Tasker’s modest, yet fully realized radiographs of flowers include a range of species and a wealth of structural beauty that is both inherent to their subject and an effect of the artist's arrangement within the rectangular field that holds their form. A limited edition monograph of Tasker’s work, Dr. Dain L. Tasker was published in 2000 by Stinehour Press. Tasker’s radiographs are in numerous public collections, including: Los Angeles County Museum of Art, Santa Barbara Museum of Art, San Francisco Museum of Modern Art, Museum of Fine Arts Houston, Center for Creative Photography, Museum of Fine Arts Boston, and the Smithsonian National Museum of American History.